With these innovations that you can only get from Moog it's no surprise that they're so confident in their parts. Having Trouble Out of Your SUV Lately? 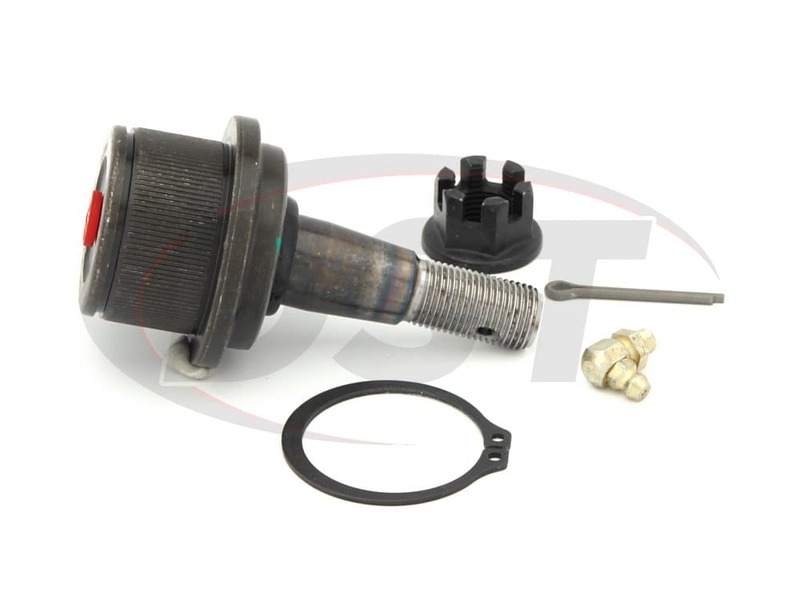 You'd been told that all the steering problems you've been having in your SUV, such as shimmying in the front end, uneven tire wear, and looseness in the steering wheel, is all a result of a bad ball joint. Naturally, you went got a new one and, being a do it yourselfer, tried to install it yourself. Well if you didn't buy Moog then it was probably really hard to install and you probably didn't even have the proper tools. You may have tried to improvise and if you did the OE replacement joint may be damaged. If so you're looking for a new ball joint. Look no further because the experts at DST have the solution to your problems. That solution is Moog's lower ball joint K6663. 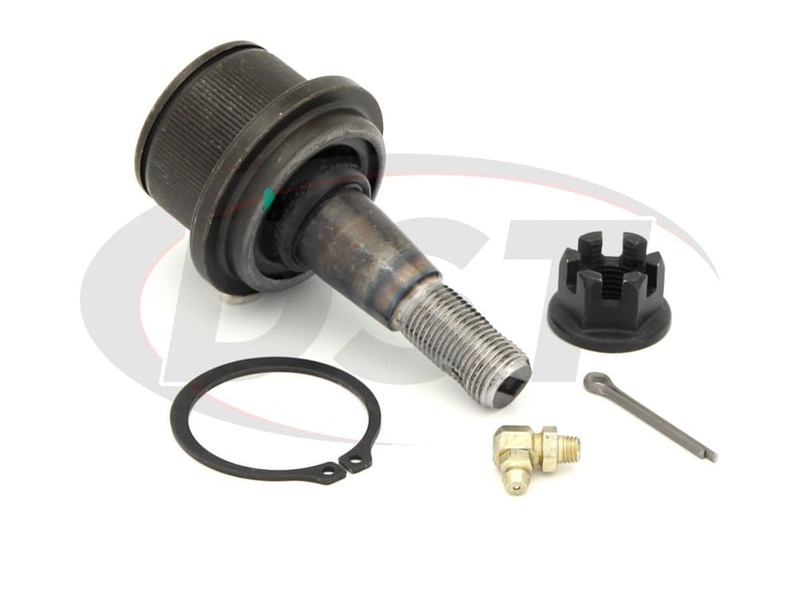 The OE ball joint for your SUV had a few major problems that lead to you having to replace the ball joint in the first place. Firstly, the stud ball diameter did not provide sufficient load carrying capability, especially in rough service conditions. 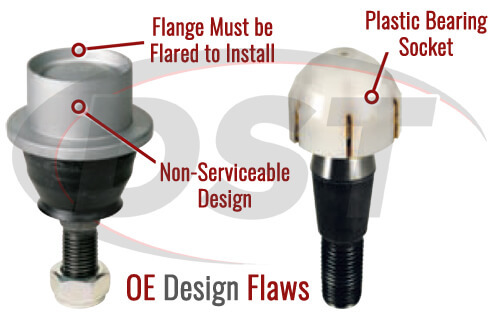 The OE ball joint design wasn't serviceable. 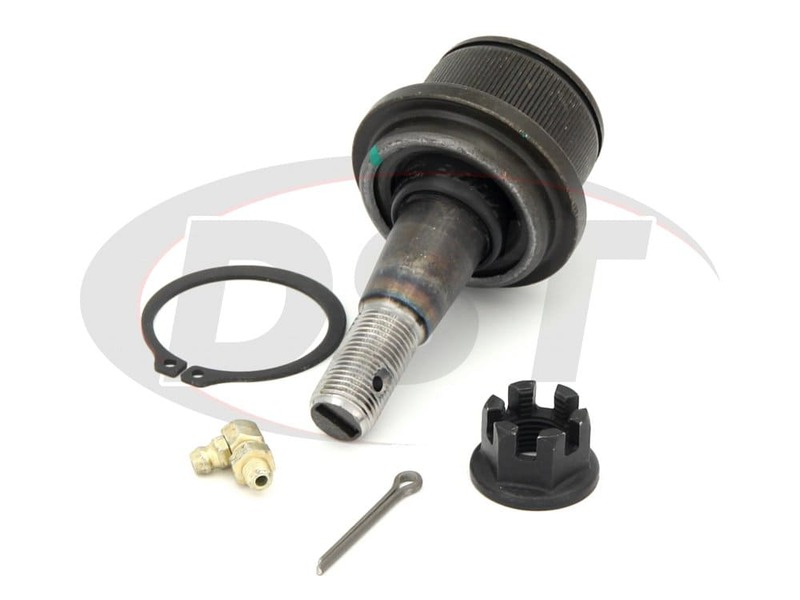 This means that the OE ball joint can't flush out the harmful road contaminates, which leads to premature wear and corrosion. 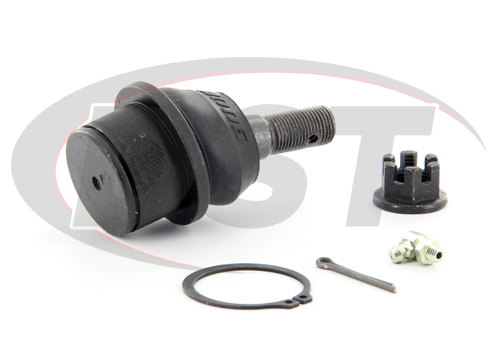 Moog has seen these OE design flaws and has taken them and improved the overall design of their ball joints. To start off with Moog has included a snap-ring to make installation easier; avoiding the need for special tools. The snap-ring in combination with the knurled housing will keep the housing in place. Moog's greaseable design allows you to flush out the harmful road contaminates that lead to premature wear. 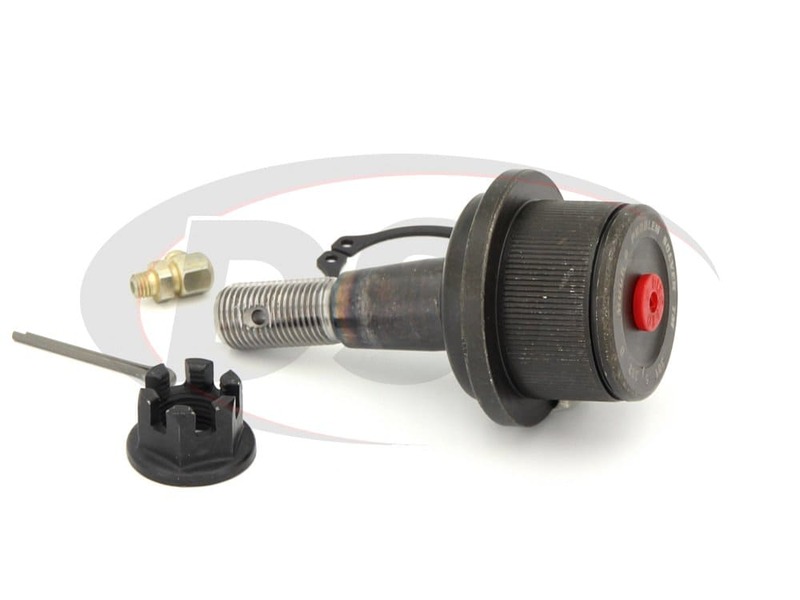 K6663 also comes equipped with a polychloroprene boot with a grease-relief valve that keeps out contaminants out while providing a sealed, serviceable ball joint. K6339 also comes with Moog's powdered-metal gusher bearings. 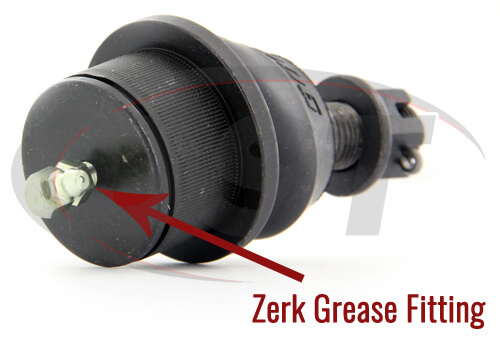 This unique design allows the grease to flow through the bearing.  It also allows for even distribution across the entire surface of the bearing. 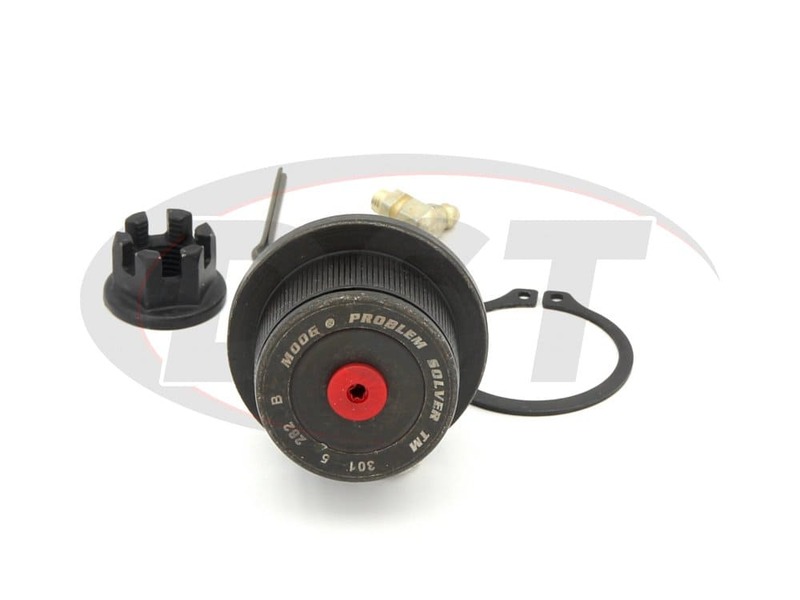 This provides greater strength and durability than the OE plastic bearing. It also resists wearing better than the convention designs. With these innovations that you can only get from Moog it's no surprise that they're so confident in their parts. Their confidence is reflected in Moog's lifetime warranty that DST's customer service team will handle for you if you ever need to replace K6663. This will save you the time and hassle of long phone calls with warranty claims. I am really impressed with fast shipping and great prices. starstarstarstarstar" Easy to install if you have the right tools. " I did this job by my garage. Its an easy job to do if you have the right tools. You will need a ball joint press to remove and install. I have to remove the whole steering knuckle by disconnecting the front axle nut and tie rods. Since the whole steering knuckle has to come out, I changed the upper and lower ball joints. The Moog ball joints fits like a glove and when I did a test drive, my Bravada feels tight and no noise. Looking forward to future purchases with this company. Many Thanks!! !